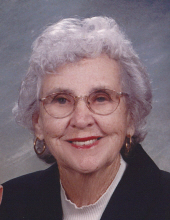 Vale – Mrs. Pat Shidal, 96, passed away on Thursday, March 28, 2019, at Carolina Care Health and Rehabilitation Center in Cherryville. Mrs. Shidal was born on February 4, 1923 in Shelby County, Tennessee a daughter of the late C.E. Perkins and Christine Murphy Perkins. She was a homemaker and a member of Cedar Grove Lutheran Church in Vale. In addition to her parents she was preceded in death by her husband, Max E. Shidal; a son Ronald Max Shidal and three sisters, Frances "Hank" Hawkins, Jo Flowers and Mary E. Herman. Survivors include her daughter, Terri Shidal of Charlotte; a grandson Grant Jones and wife Pamela of West Palm Beach, FL; two great grandchildren, Parker Jones and Kennedy Jones. A graveside service will be held at 1:00PM on Friday, March 29, 2019 at Cedar Grove Lutheran Church Cemetery with Rev. Rebekah Carpenter officiating. A reception for family and friends will be held following the graveside service in the Church Parish hall. Burial will be at Cedar Grove Lutheran Church Cemetery. Memorials may be made to Cedar Grove Lutheran Church Cemetery Fund, 261 Cedar Grove Church Road, Vale, NC 28168. Stamey-Cherryville Funeral Home & Cremation Service is serving the family of Mrs. Shidal. To plant a tree in memory of Pat Shidal, please visit our Tribute Store. A reception for family and friends will be held following the service in the church parish hall. "Email Address" would like to share the life celebration of Pat Shidal. Click on the "link" to go to share a favorite memory or leave a condolence message for the family.